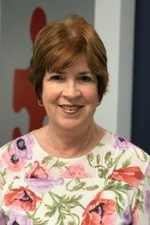 Before moving to Georgia from Los Angeles, Maureen Dorsey managed an office of 150 technical professionals for a large tax corporation. Having previously owned 2 retail businesses she has acquired vast experience in delivering excellent customer service. She has been an insurance billing specialist for pediatric therapies since 2006.